Fine Line Markers in: Brown, Purple, Red, Orange, Yellow, Green, Blue, Black, Pink and Gray. 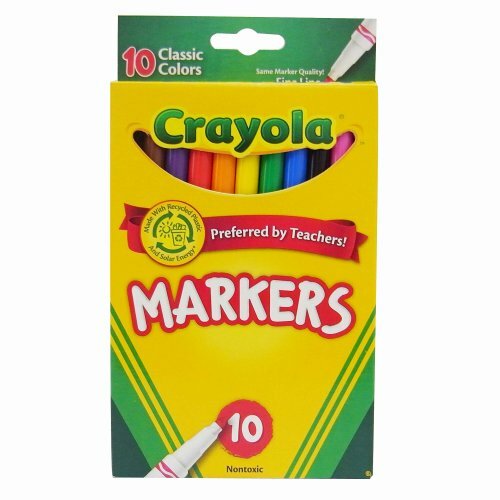 These 10 classic color fine line markers are perfect for detailed drawing and writing. Non-toxic. Conforms to ASTM D 4236. Made in USA.